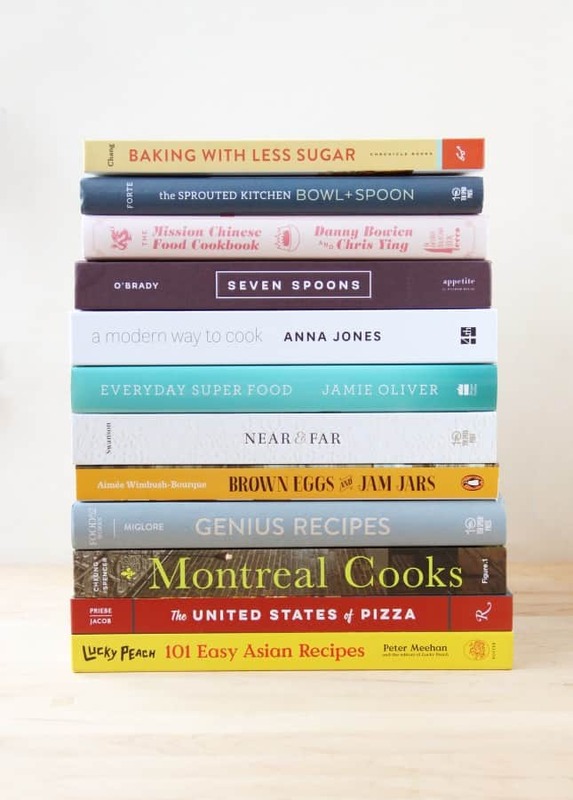 12 Favorite Cookbooks from 2015, What’s in my Wishlist for 2016, Plus a HUGE Cookbook Giveaway! It’s not too late for a 2015 round up, is it? I thought I would start the year right by sharing what were my favorite cookbooks of the year past. I buy a lot of cookbooks, and for a cookbook to qualify as a favorite, I must cook from it frequently, or be transported by its stories, or be in awe of its mouthwatering photography or appealing recipes. 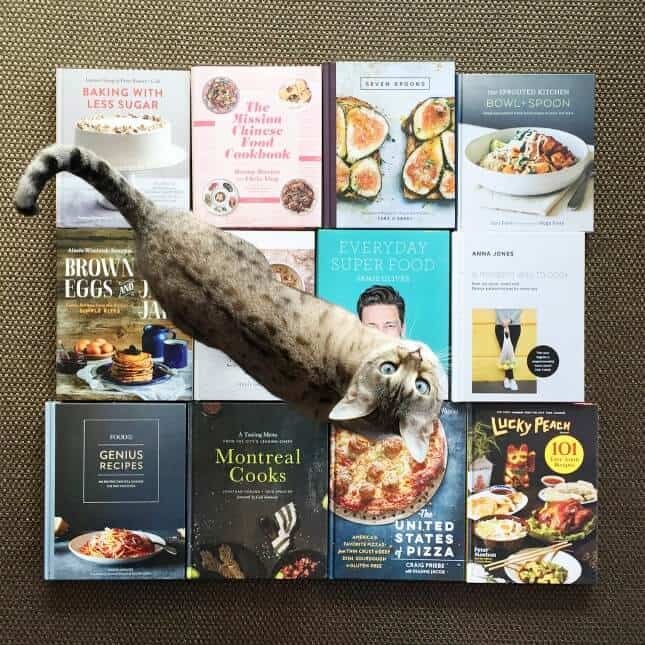 Here are the cookbooks that made it to my top shelf in 2015 (in no specific order). Scroll down for info about the aforementioned HUGE cookbook giveaway! I promise you won’t be disappointed! While I was writing my own cookbook, I did a lot of research on how to make desserts healthier and sugar alternatives. Joanne Chang’s gorgeous book is a gem I discovered in the process: the author of bestselling Flour (another favorite of mine) created recipes that cut back in refined sugars, replacing them with natural and clever alternatives such as maple syrup or fruit juices. The recipes are wonderfully appealing—with the substitutions never making it feel like you’re making sacrifices. Why bake any other way? Healthy meals in a bowl are my work-from-home dream lunches. I thought I was the only one finding additional appeal to meals that can entirely be eaten with a spoon, but fortunately, Sara and Hugh Forte are in the same camp. Serving proteins, greens, vegetables, and whole grains together in a bowl creates wonderful combinations of flavors and textures. The beautifully photographed Bowl + Spoon offers recipes for morning, side, big, and even sweet bowls, and I especially loved the dressings and sauces, many of which I use to create my own bowls now. Danny Bowien, with his knit cap, long hair, big glasses, tattoos, and association with David Chang and Anthony Bourdain, is an icon of hipster cuisine and I’m not sure whether I should love or hate him for that. Nevertheless, I couldn’t resist visiting his Lower East Side restaurant when I was in New York City last November, and I gotta say: I loved everything about it. The kitsch décor, the rowdy atmosphere, the finger-licking good food, and yes, even the impossibly hipster server, who wore giant plastic earrings and an 80s-style jumpsuit puffing at the hips. It was all too much, but it all just kinda worked. Fittingly, I received his cookbook just a few days after we came back from our trip. The book is just as delightfully all over the place as the restaurant is: part cookbook, part memoir, part travelog, it features Bowien’s classic dishes along with quotes, photographs, and interviews that provide a peek into his creative brain. The Mapo Tofu recipe alone makes the book worth the buy. As one of the earliest food bloggers—she started her blog, Seven Spoons, over 10 years ago—Tara O’Brady’s book was eagerly awaited, and rightfully so. She is an incredible storyteller, and I personally couldn’t wait to get a book-long chunk of her work to devour like a novel. Her headnotes read like a memoir that unfolds through the recipes, and her photography is just as gorgeously simple and elegant as it is on her site. Born from Indian parents, raised in Canada, her cuisine reveals international and regional influences that she manages to cleverly combine in dishes you just want to devour, now. A highlight is the Soups, Starters & Snacks, which features recipes as varied as Hard Cider Gougères, Masala Peanuts, and Vietnamese-Inspired Sausage Rolls. A gem of a book. You know the feeling when you discover a TV series that has already run for five seasons so you get to binge on the good stuff you missed? That’s how I feel about Anna Jones, my favorite discovery of the year. Jones is a British food writer and stylist who worked as part of Jamie Oliver’s team for years. Billed as “The New Nigella” by the British press, she’s now a freelancer working for some of the biggest UK brands and celebrity chefs, and the author of a gorgeous blog and two cookbooks. 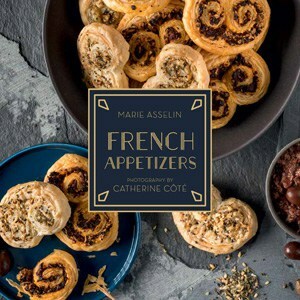 Her latest, A Modern Way to Cook, is filled with quick recipes you can whip up on a weeknight, but are so spectacularly delicious you’ll probably want to serve them to company, too. Each recipe is tagged with the time it takes to create it (from 15 to 45 minutes), and the book also contains super clever formulas to help you create meals from what’s in the fridge. I’ll be honest: in my mind, Jamie Oliver can do no wrong. I simply love the guy. I own all his cookbooks, I’ve cooked countless of his recipes, and they just work. They’re unfussy and delicious and they make you proud of what you put on the table. I couldn’t wait to discover Oliver’s take on “healthy” through his latest book, and, well, I’m not disappointed. As expected, Oliver delivers helpful tips without preaching against meat, or fat, or sugar. What I love most about this book is that it provides recipes for dishes that don’t feel like you’ve skimped on the good stuff. The whole Live Well chapter is especially useful, providing concise information about nutrition and special diets. Few are cookbooks that are as helpful in the kitchen as they are fascinating as coffee-table books. Heidi Swanson’s latest tome, Near & Far, achieves that feat with flying colors. 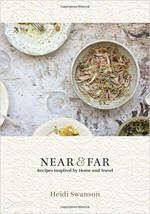 The book is divided by destination, from San Francisco (“Near”) to Morocco, Japan, Italy, France, and India (“Far”), and Swanson’s vegetarian recipes showcase her creative and clever use of each region’s flavor along with wholesome ingredients. Her dreamy travel photography is dotted throughout and browsing through the book, you can’t help but imagine yourself there, gawking at those historic facades or walking on those colorful tiled floors. Bonus points for the gorgeously textured, velvety cover. You won’t want to put the book down! You don’t get to meet your favorite bloggers all that often, and when you do, it’s always a delight to discover the person, in person, corresponds exactly to what you imagined her to be. 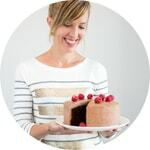 Aimée, from the popular blog Simple Bites, is warm and generous, just as her writing is. In her book, Brown Eggs and Jam Jars, she invites us into her home and shares her comforting cooking through seasonal recipes that are both practical and enticing. Flipping through the book made me feel like I got to peek into her secret recipe folder: some of my newfound classics include her One-Bowl Carrot-Spice Oatmeal Muffins and Whole Wheat Chocolate Chunk Cookies with Orange Zest. She also shares extremely useful tips for getting the kids involved in the kitchen, as well as down-to-earth advice about homesteading, her specialty. In short, her book provides all the inspiring ingredients to build your own welcoming, loving home. I’ve been an avid reader of Kristen Miglore’s Genius Recipes series on Food52 for years, so this might have very well been the most exciting release of the year, in my eyes. The recipes shared by Miglore are passed down from the authors, chefs, and bloggers who made them legendary, with plain English explanations about what makes them truly foolproof. The book features a hundred classic recipes you need to add to your arsenal: just try Marion Cunningham’s Raised Waffles or Yotam Ottolenghi’s Basic Hummus and you too, will understand how game-changing this book is. If you love food and you love to travel, you’ve certainly noticed the meteoric rise of Montreal’s culinary scene over the past years. Building on a rich local terroir and diverse cultural backgrounds, the city’s new generation of chefs create food that is exciting, innovative, and incredibly enjoyable. In Montreal Cooks, you get to meet some of the city’s best chefs, and they each share a couple of their best recipes. The cookbook doubles as culinary travel guide, because I have no doubt perusing it will make you want to come visit au plus vite. I’ve said it before and I’ll say it again: I’d gladly eat pizza for breakfast, lunch, and dinner. It’s my favorite dish and I won’t ever get tired of it. I believe it’s the most versatile dish in the world, but you don’t have to take my word for it. 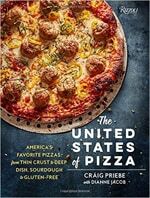 The new book from chef Craig Priebe and food writing legend Dianne Jacob proves just that: from New York-style to sourdough, to stuffed, to whole wheat, to gluten-free, The United States of Pizza explores the incredible variety of flavors pizza can carry. The book came at a point when I had become heavily partial to Roman-style thin crust pizza, and I am grateful it reminded me of all the goodness I was missing. If I couldn’t eat pizza for the rest of my life, I’d eat Asian food. It’s my comfort food, and Asian flavors are my default go-to for creating quick weeknight meals. I was excited for this new book by a long-time Lucky Peach writer and editor, Peter Meehan, but part of me was afraid the title would be sarcastic and the recipes would, in fact, be over-the-top complicated. It would sure have been the kind of joke the Lucky Peach team would be game to pull, but thankfully for us, they stayed true to the purpose of the book. The recipes are, in fact, surprisingly simple, allowing you to create quick but authentic dishes that may lead you to forget your favorite takeout numbers. The Slow Cooker Pho is a go-to, as is the Beef Satay. Of course, the book wouldn’t be complete with cheeky recipes. The Mall Chicken, a take on the sticky-sweet chicken most North Americans grew up associating with Asian food, and the Pesto Ramen are examples, dishes that are sure to spark conversations at your next dinner party. 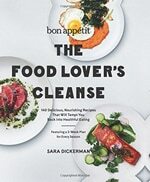 I’ve been faithfully following Sara Dickerman’s yearly “cleanses” for the past 5 years. Be advised: This isn’t about going on a diet or drinking only juice for a week. Dickerman, a writer for Bon Appetit Magazine, elaborates her two-week cleanses so you eat meals that are high in fruit, vegetables and whole grains, and low in dairy products and saturated fats. The formula includes dishes for breakfast, dinner, and desserts, along with formulas to make exciting lunches with leftovers from the night before. The dishes are colorful, nutritious, and filling—which is honestly how I want to eat all year long. Past cleanses are available online, and this year’s brand new cleanse is unfolding as we speak. But the reason why I’m excited about The Food Lover’s Cleanse cookbook is that it includes menus for spring, summer, fall, and winter, allowing me to pick up ideas to improve my cooking year-round by making the most of seasonal ingredients. I already have this book at home and I can’t wait to start cooking from it. Making bread at home is one of my 2016 resolutions, but it feels daunting. Will I create average breads that my family will eat just to acknowledge my effort? 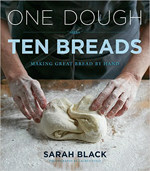 Sarah Black is a baker with 25 years of professional experience, and her book makes an encouraging promise: “With just a few ingredients, one’s own two hands, and this book, even a novice baker is well on the way to making artisan-style breads.” I’ll report back on my progress. Learning how to optimize my dinner routine while still managing to create delicious meals has been one of my biggest challenges as a new parent. I’m doing better, but I’m still hungry for tips from other parents who have been down this road before. Emilie Raffa’s blog, The Clever Carrot, has long been providing wholesome recipes, and now her book is “packed with all the timesaving shortcuts and flavor-boosting tips” that I’m sure will help me get better at whipping quick and flavorful family dinners. I’ve been a fan of Jeanine’s colorful vegetarian blog, Love & Lemons, ever since we met back in 2012. I believe I’ve been making at least one of her recipes monthly for years—they’re always quick, delicious, and ultra-satisfying. Her book aims at helping you making the most of seasonal bounty, turning vegetables in elegant and flavor-packed dishes. 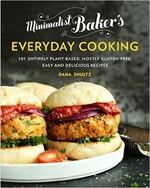 I can’t wait for a whole book of meatless inspiration! Speaking of vegetarian cuisine, I’m excited about this book by fellow Canadian blogger, Allison Day. 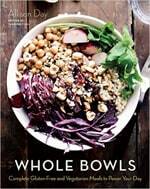 The book follows a formula that made me fall in love with The Sprouted Kitchen’s Bowl + Spoon cookbook in 2015: serve healthy ingredients prepared with irresistible flavorings and condiments, in a bowl. Here’s an example of Allison’s upcoming recipes: “Oat Risotto Bowls with Soft-Boiled Eggs, Avocado, and Hazelnut Dukkah.” I simply can’t resist. And my list ends with, yes, another vegetarian book. The reason why I have so many vegetarian books on my list is that I feel it’s the cuisine I need the most inspiration for. Vegetables can either be exciting or boring. 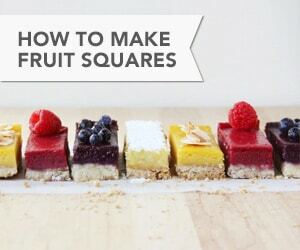 As a long-time reader of Dana Shultz’s blog, The Minimalist Baker, I know her take on plant-based cooking will be the former: her book will include mains, breakfasts, and desserts that all take 30 minutes or less to prepare. Hey, no-fuss, delicious, and healthy food? I’m ready for you. Welcome to my HUGE cookbook giveaway! Because I know you love books as much as I do, and I want you to start 2016 on a delicious note, I’m giving away a copy of each book in my 2015 favorites list. And I have TWO copies of Jamie Oliver’s book to giveaway! YES! 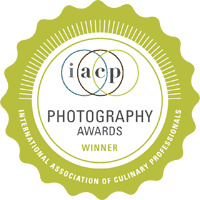 That means 13 happy winners will each be going away with delicious inspiration for the new year. PLUS! From January to June, I will be publishing a monthly cookbook review, one for each of the books in my Winter/Spring 2016 Wishlist. And—you guessed it—a copy of each reviewed book will be up for grabs every month. Make sure to come back every third Thursday of every month to discover a new book and enter for a chance to win it. Here’s the upcoming schedule, mark your calendars! Channeling the inner announcer in me now: But wait, there’s more! Each and every winner, be it for any of the 2015 or the 2016 books, will also get a copy of my own eCookbook, Sweet Spot, as an extra gift. In other words, everyone will win not one, but two books! If that doesn’t inspire you to get cooking, I don’t know what will! Mandatory: Leave a comment mentioning the top three books from my 2015 favorites you’d like to put your hands on. If you already own some of the books, please list them too. The winners will be picked randomly and I will give away the books on a first come, first serve basis. However, I’ll do my best to give each winner one book from his or her list. If the three books from your list were already given away when I pick your name, rest assured that you will get a fantastic gift as all the books in the list are amazing. Optional: Take advantage of all the social media options in the Rafflecopter widget below to get more chances to win. When entering through social media, make sure I can recognize your name/address so I can link your post to your original comment and send you the book you wished for. You must be a U.S. or Canadian resident to win (or provide a U.S. or Canadian mailing address). Each winner needs to answer a simple skill question to get the prizes. The giveaway ends Wednesday, January 20, 2016, at midnight EST. 81 Responses to 12 Favorite Cookbooks from 2015, What’s in my Wishlist for 2016, Plus a HUGE Cookbook Giveaway! I’d love brown eggs and jam jars, minimalist baking and Jamie Oliver’s super foods book! Fun. I own and adore Aimees book, it’s so lovely. I’d love to have Jamie’s book, Seven Spoons and Food 52’s Genius book. All so good! This is an amazing giveaway!! I would be excited to win any of the cookbooks, but would especially love Brown eggs and Jam Jars, Bowl+Spoon, and Genuis Recipes. Ah what a treat to have these pretties in my kitchen just waiting for me to pour over the pages and cook my way through the them! I’ve had my eye on Baking with Less Sugar, United States of Pizza and the Lucky peach book. 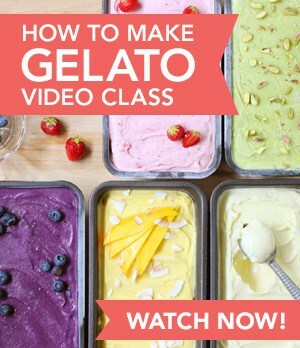 I already have (and live) genius recipes! Excellent giveaway! Ahhhh so many good ones! Hard to choose, but Brown Eggs + Jam Jars, Seven Spoons, and Near + Far. Thank you for the chance! Well. Well. Well. 12 exiting books. My first choice will be A modern way to cook. Number 2, Genius recipes and finally, Brown eggs ans jam jars. Ooohh! I’d love to get my hands on Baking with Less Sugar, Brown Eggs and Jam Jars, and Near and Far. Thanks for a lovely recap of these books! Wow! These all sound amazing!! I already own brown eggs and jam jars-and use it regularly. It’s such a wonderful book! I especially love the canning recipes! My top 3 would have to be Seven Spoons, Genius recipes and Montreal cooks. Thank you so much for the chance to win! I adore cookbooks! I Loved how you described each cookbook. My top three books are: food52 genius recipes as I find lately that I’m constantly on their website and making dinners from their collection of recipes. Brown eggs and jam jars seems like a must add to my collection since her recipes are right on. Finally I would go with bowl and spoon it’s unlike any cook book I own. Thank you for your amazing list! Wow, this is hard! Montreal Cooks, Brown Eggs, and Food52 Genius Recipes would be my dream books. I’d love to check out The United States of Pizza (because pizza!) and The Clever Cookbook, because it sounds awesome. 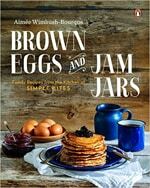 And I’m sure I’d love Brown Eggs and Jam Jars since Aimee’s recipes are usually foolproof! Great selection! I would love Seven spoons, Near and far or Baking with less sugar. I own Brown eggs and jam jars, love it! I absolutely love cookbooks and believe you can never have enough! It’s hard to pick, but I would probably pick Jamie Oliver’s Everyday Super Food, Brown Eggs and Jam Jars :), & Seven Spoons! What a fabulous giveaway. So difficult to chose amongst such great books. I own and love Genius Recipes. After that Brown Eggs and Jam Jars, Jamie Oliver, and Baking with Less Sugar all look amazing! as I need some vege inspiration. 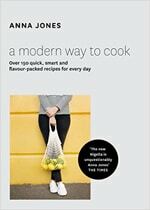 I’d love to have Everyday Super Foods by Jamie Oliver, 101 Easy Asian Recipes and Food52 Genius Recipes! These look really good! I don’t currently own any of these. :( But I do adore Jamie Oliver. I would love to have the 101 Easy Asian Recipes, Brown eggs, and Baking with less sugar. Any of these would be a great addition to my collection, but I would love to have Baking with Less Sugar, Mission Chinese Food, and Near & Far. What a great set of books! Any of these would be a great addition but I am very interested in Montreal Cooks, A Modern Way to Cook and Near and Far. This is awesome! My top three: sprouted kitchen bowl & spoon, food52 genius recipes, and brown eggs and jam jars. I have seven spoons and near and far, both so beautiful and unique. Oh!! I love Sarah forte and have being wanting to get my hands on bowl and spoon. Brown eggs and jam jars looks so inspiring and baking with less sugar! Thanks for the amazing giveaway opportunity! I had such a tough time picking my 3 faves from this list. :) My top 3 cookbooks are the following: Sprouted Kitchen Bowl and Spoon, Near and Far, and The United States of Pizza. I already own Seven Spoons, Everyday Superfood, and Food52 Genius Recipes. My top 3 would be Brown Eggs and Jam Jars, Sprouted Kitchen, and Mission Chinese Food though I say that you can’t go wrong with Jamie Oliver either. You absolutely can’t! But your first three choices are fantastic, too. My top 3: (1) I’ve been wondering about “Baking with Less Sugar” for a while, enjoy a good dessert but nothing too sweet if that makes sense? Always a good idea to use less refined sugars.. (2) “A Modern Way to Cook”, delicious vegetarian dishes to entice meat-lover partner to enjoy vegetables intake. (3) “Montreal Cooks” – because Montreal is such a great food city and really wish that I could visit it again by way of this book. 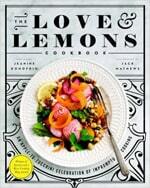 I already own the Jamie Oliver book love the healthy concept and easy to follow recipes. Yes — desserts that are less sweet totally make sense. I’m exactly the same, I actually hate over-the-top rich and sweet desserts. I think you’d love Baking with Less Sugar! The recipes in it are super appealing and indulgent (no fruit platters in there!) but they’re better for you because of the ingredients they use. It’s great! I’ve looked at a modern way to cook and would love it for it’s ease on week nights when trying to find something yummy to feed my children, jamie Oliver – I have none of and would be keen to see his take on healthy, Nigella has also done one that I’ve heard is good.and I love the sprouted kitchen blog so woudl adore their cookbook as have similar takes on the subject. I just got the new Nigel Slater for christmas, i think he counts as cooking and reading for pleasure. I’m also curious to browse through Simply Nigella: she’s so associated to her rich comfort food, I’m interested to see how she adapted to a “healthier” version of her cooking. I would love Jamie Olivers book, baking with less sugar, or bowl and spoon! I LOVE Jamie as well. I love how natural and wholesome his food is. I also would love Baking with Less Sugar and Food 52. I’m also starting a cook book wish list for 2016 because you have some awesome picks on your wish list. Yours is going right at the top! Thanks for your kind comment Diana! Good luck. 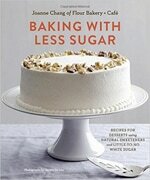 I’m a huge Flour/Joanne Chang fan, so I’d love her Baking With Less Sugar cookbook. 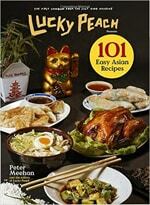 I’d also love to try Lucky Peach’s 101 Easy Asian Recipes and Heidi Swanson’s Near & Far! My stomach is growling now. I’m intrigued by A Modern Way to Cook! I hadn’t heard of it but it sounds wonderful! I also don’t trust artificial sweeteners, even when they claim it’s made from “natural” sources or ingredients. Good ol’ maple syrup and honey suit me just fine. I’d love to get my hands on the Food Lab book! Happy to know you liked it, you’re a great reference in the matter :) It’s not a cheap book, though! I’ll add it to my wishlist, my birthday is coming up. You never know! Excited about: Baking with Less Sugar, The Sprouted Kitchen Bowl+Spoon and Everyday Superfood. 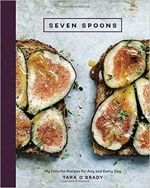 I’d love to try Seven spoons, Jamie’s, and food52 cookbook. This sounds awaome! I love all your picks! I have been thinking of Jamie Oliver’s book mainly since I get them from the library all the time but don’t actually own any of his cookbooks. Of course Seven Spoons and Food 52! Brown Eggs, A Modern Way to Cook, Seven Spoons, any would be a great addition! I love Jamie Oliver too & his book would be my first choice. Other ones I’d like to try – Minimalist Baker & Montreal Cooks. Near and Far, 101 Easy Asian Recipes or Montreal Cooks would all be welcome additions to my collection. Thank you! Hi! I have Seven Spoons, Everday Superfood and Brown Eggs & Jam Jars. 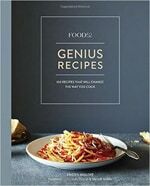 I would love to get my hands on A Modern Way to Cook, United States of Pizza and Food 52 Genius Recipes – thanks!! My top 3: 101 Easy Asian Recipes; Food52 Genius Recipes:100 Recipes That Will Change the Way You Cook; and Seven Spoons. My top three picks: Everyday Super Food, a modern way to cook, and Montreal Cooks. Thank you so much for the giveaway! I have Seven Spoons and Brown Eggs and Jam Jars. I don’t have any of these myself. Seven Spoons, Near & Far & Everyday Superfood are all at the top of my list! My top three picks are Everyday Super Food, Genius Recipes and Seven Spoons! My absolute favourite is Montreal Cooks: A Tasting Menu from the City’s Leading Chefs followed by Brown Eggs and Jam Jars: Family Recipes from the Kitchen of Simple Bites and Jamie’s Everyday Superfood! I’ve been drooling over Near & Far, Seven Spoons, and Brown Eggs & Jam Jars for longer than I care to admit… beautiful books and incredible recipes? Yes please! Your choices are so good I had SUCH a hard time trying to choose only three of them… and here goes my Amazon wishlist ahah. * The Food Lover’s Cleanse, YAY for healthy meals! All great choices Catherine! I know you’d love Joanna Chang’s book. But you’ll have to come back to enter separate giveaways for The Food Lover’s Cleanse and Whole Bowls, as they’re on my 2016 list! Any other choices you’d like to add to your top 3 from 2015, just in case you’re one of the lucky winners? Oh, damnnn. I got too excited, AHAH. Great list! Would love near and far, seven spoons, or spoon + bowl. What an insane giveaway! And SO SO SO many good reads on your list! I’d love to get my hands on The United States of Pizza (who wouldn’t? 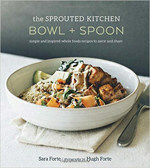 ), the Sprouted Kitchen Bowl & Spoon and “A Modern Way to Cook”. I would love to have Food52 Genius Recipes, Whole Bowls, and 101 Easy Asian Recipes. Everyday superfood, Montreal Cooks et Genius Recipes ! Wow – hard to choose but Near & Far has been on my list for a while. 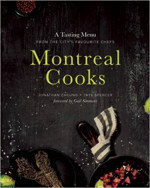 Montreal Cooks would be lovely as that city is on my short list for vacations. And I’ve had my eye on Brown Eggs & Jam Jars has caught my eye more than once – I’ll have to check out the blog! Amy, yes, Montreal Cooks would be an amazing tool to plan the culinary aspect of your trip to the city! I hope you’ll get to come visit soon. 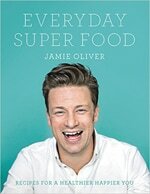 mon top 3 est: a modern way to cook, Near & Far et bien sûr Jamie Oliver (everyday super food) quel concours merveilleux! What a giveaway! 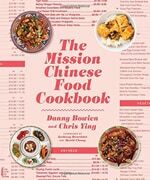 I’d love a shot at The Mission Chinese Food Cookbook, Seven Spoons and 101 Easy Asian Recipes. Can’t wait to see what you have coming for us in 2016! So many good books! I gave a copy of Seven Spoons as a xmas gift and I would love to have one for myself. Being a Montrealer living in Quebec City, Montreal Cooks would make my heart happy. Finally, Food 52 Genius recipes would be in my wish list. It must have been hard to part with the copy of Seven Spoons your purchased for a gift! It’s such a great book. You’d certainly deserve a copy! And I can understand why you’d miss Montreal! My top three would be: Jamie Oliver, Near & Far, and Love & Lemons. A great collection! Both 2015 and 2016 are good years for cookbooks. Looking back at last year’s list, there are so many good ones. 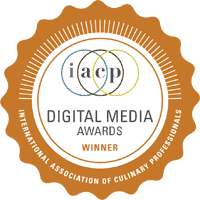 Topping my list from your ’15 faves: Heidi Swanson’s “Near & Far”, Jamie Oliver’s “Everyday Super Food”, and Anna Jones’ “A Modern Way to Cook”.